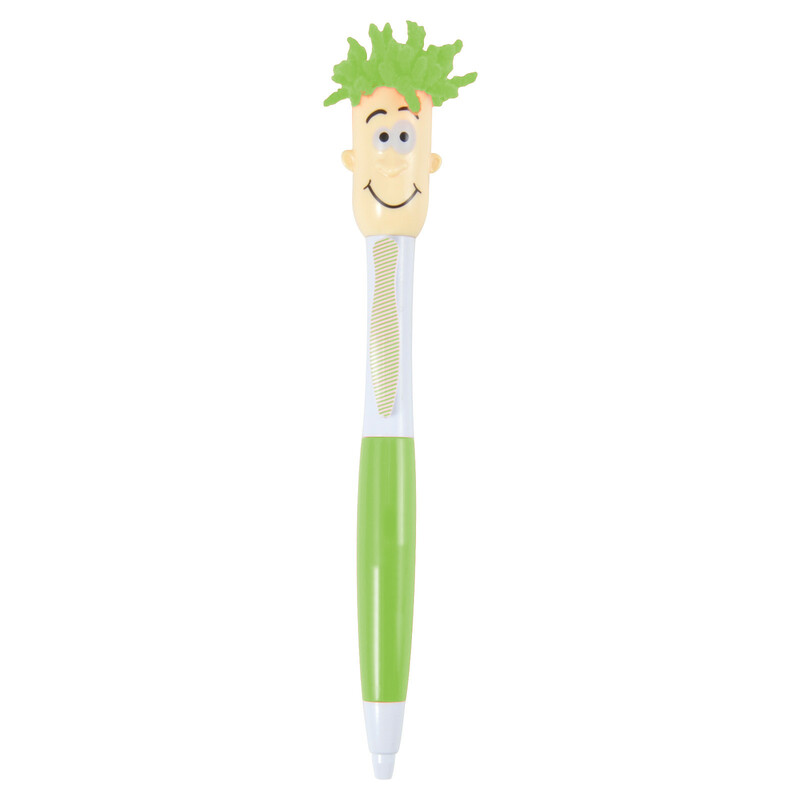 A mop top highlighter that features a silly face, microfibre cleaning, highlighter and pen. 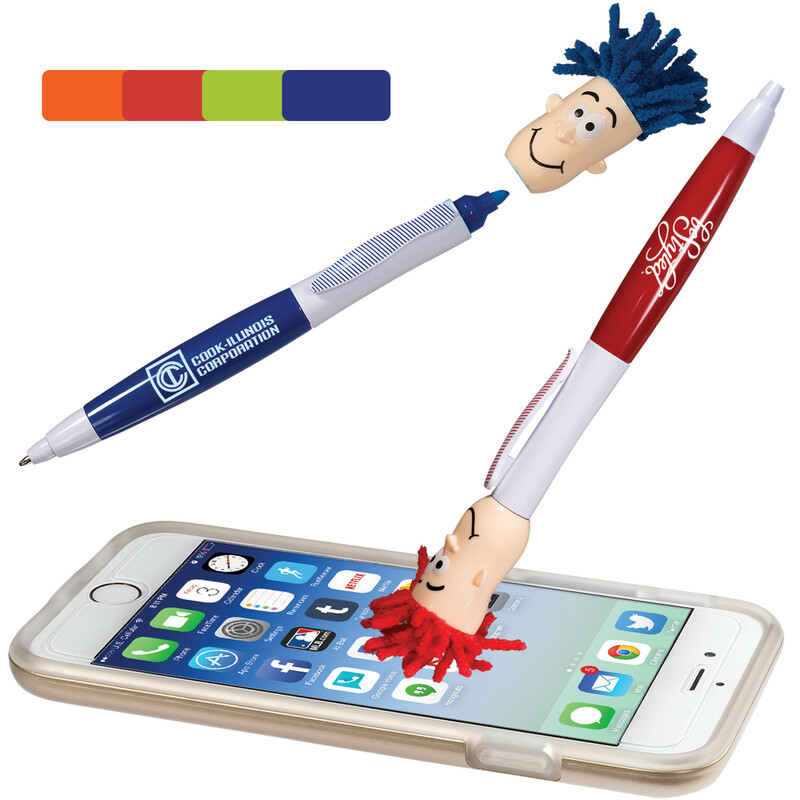 A highlighter, pen and screen cleaner all in one handy instrument. These quirky pens have a silly face that will make smile. The pen is push button action and the chisel tip highlighter matches the colour of the pen. You can also use the hair for cleaning touch screen surfaces!